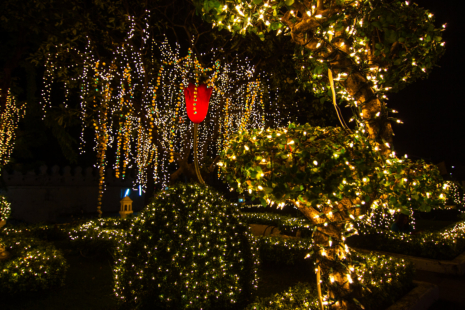 At Greenforce Outdoor Light, we have met a lot of Christmas light enthusiasts who love to know about all the details that make for a great Christmas light display. However, most of them have little to no knowledge about the safe installation and powering of such grand displays. Because of this, we recommend that you hire a company offering professional Christmas light installation services to help you. Not that there aren’t exceptions, but generally, low bids are usually indicators of low quality. So, choose organizations that provide for a more reasonable price. Otherwise, you might end up hiring a firm whose prices sound too good to be true, and in exchange, you would have to deal with someone who doesn’t have a lot of expertise or the basic understanding of the safety requirements when it comes to doing the project. It is also a good idea to avoid cheap Christmas lights so that you won’t have to deal with reliability issues in your holiday light installation. Check out where they get their source of lights from. Knowing where they buy their lights will clue you in on the quality of lights that you will be getting. You will want to be sure that they are buying from a specialized, year-round supplier of Christmas lights since professional grade lights are not just something that you find in retail stores. Ask about problem resolution policies. Regardless of the breadth of professionalism and the depth of experience offered by a company providing Xmas light installation in California, it is still possible to have some post-installation problems. For instance, some lights of your preference may go out of stock unexpectedly, or you will have arguments with the installation crew. So, we suggest that you ask what their policies are for resolving issues beforehand to guarantee a fair treatment on your part. This entry was posted in Light Installers and tagged Holiday Light, Light Installation, Lighting System. Bookmark the permalink.